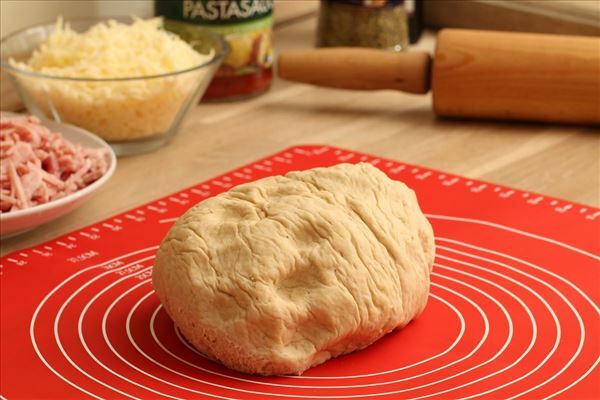 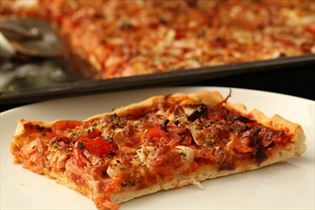 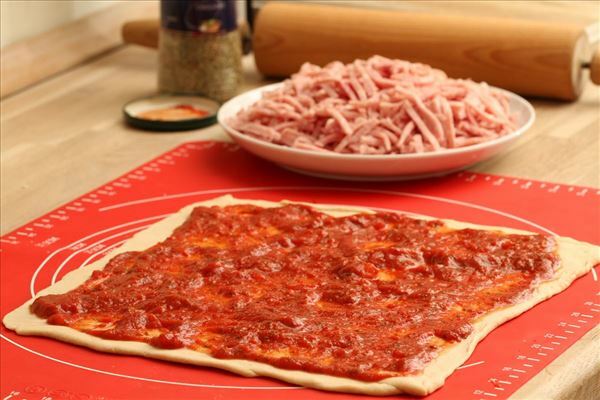 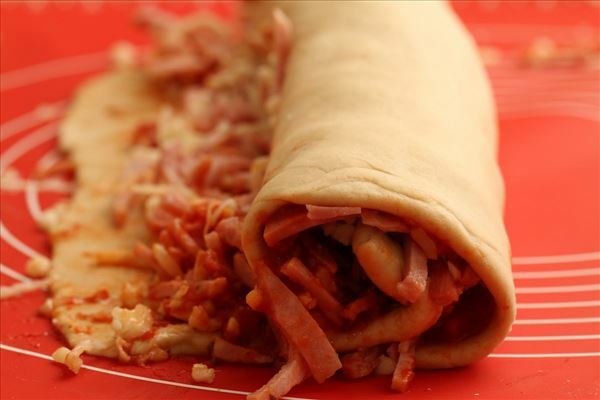 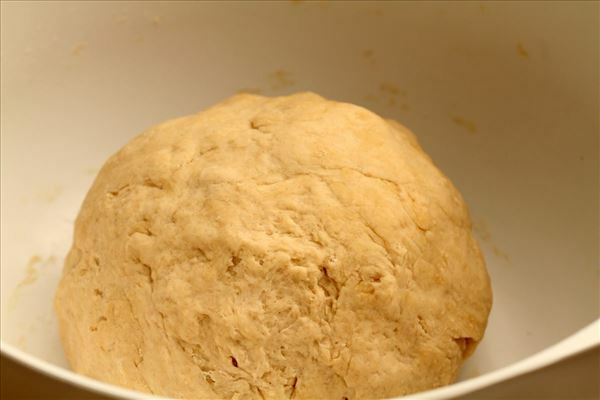 Roll out the dough into a large rectangle and spread the tomato sauce over the top with a knife. 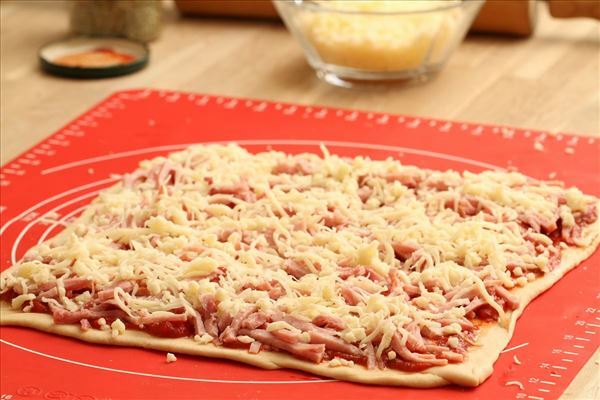 Top with the ham and sprinkle with cheese. 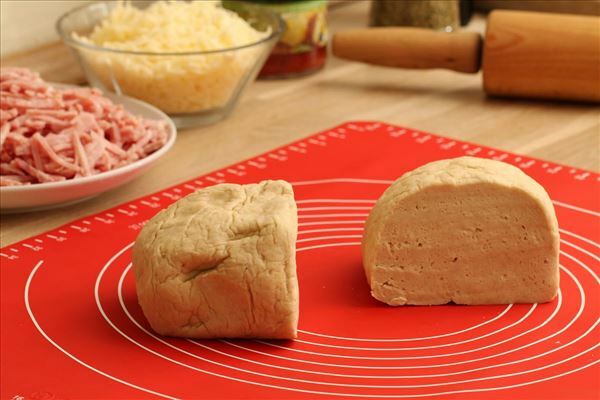 Roll the dough into a long sausage and then cut into 1 1/2 cm. 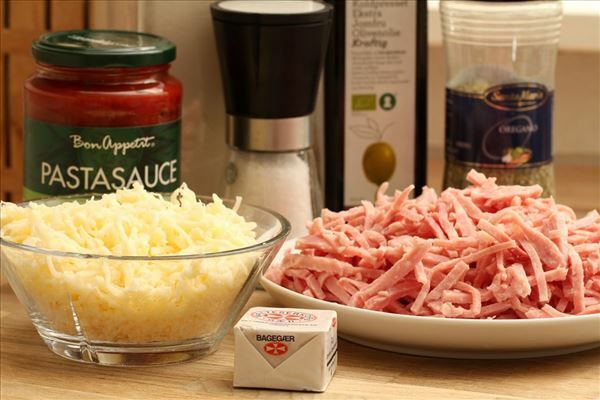 thick slices. 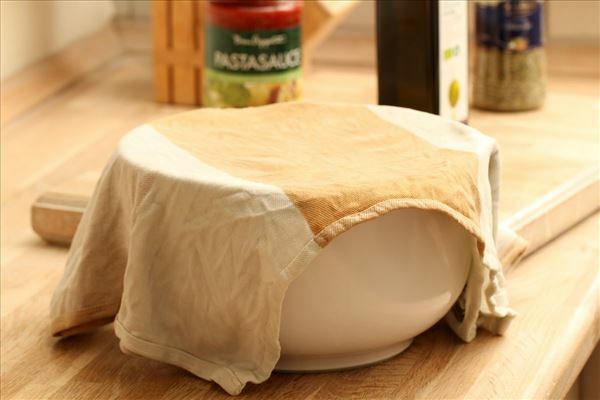 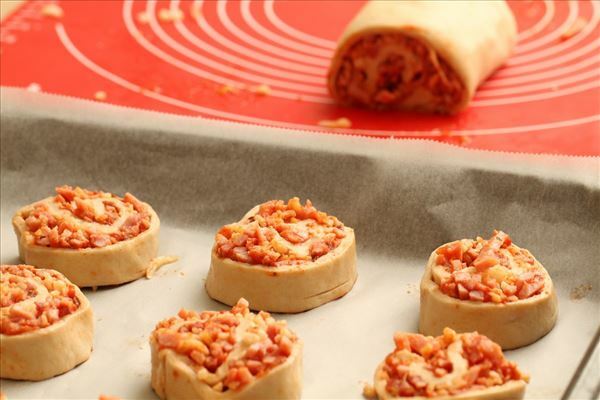 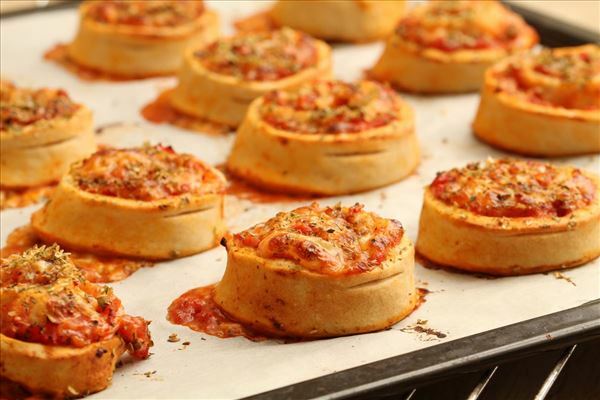 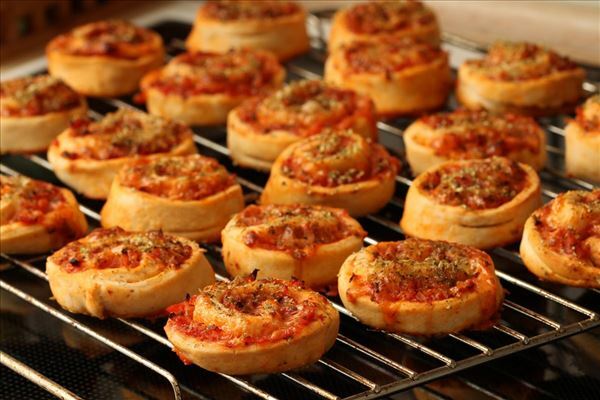 Place the pizza whirls on a baking tray lined with baking paper. 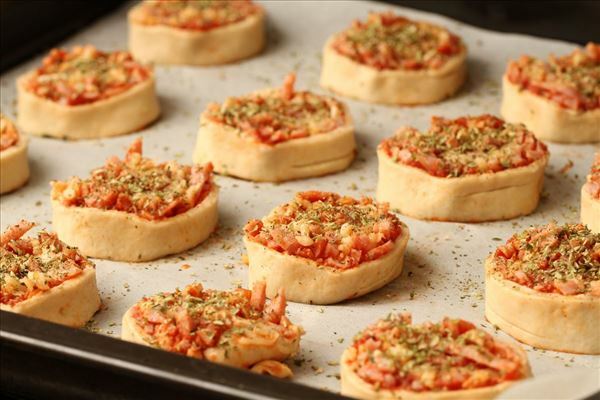 Sprinkle with oregano. 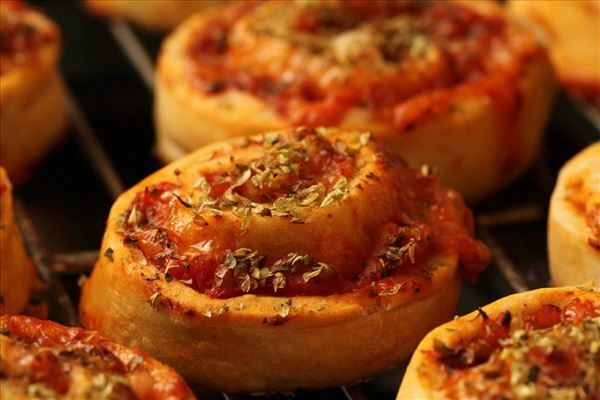 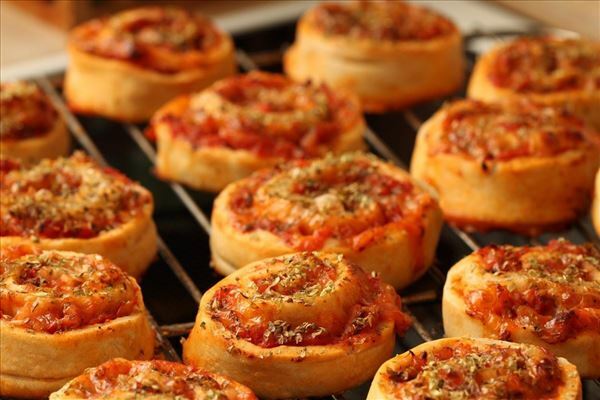 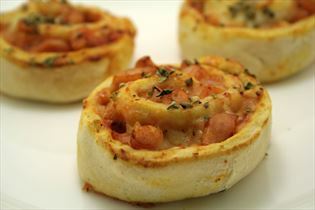 Bake the pizza whirls for 10-12 mins. 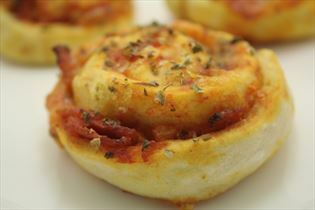 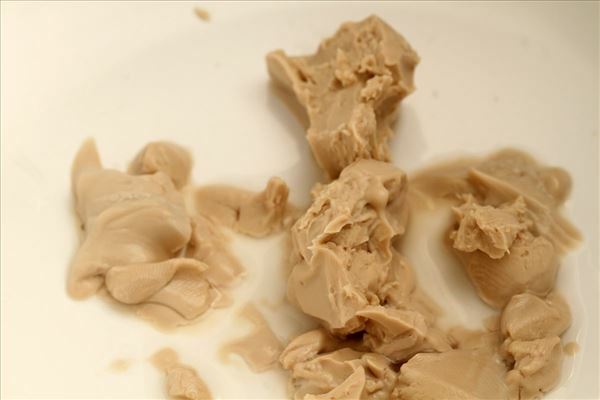 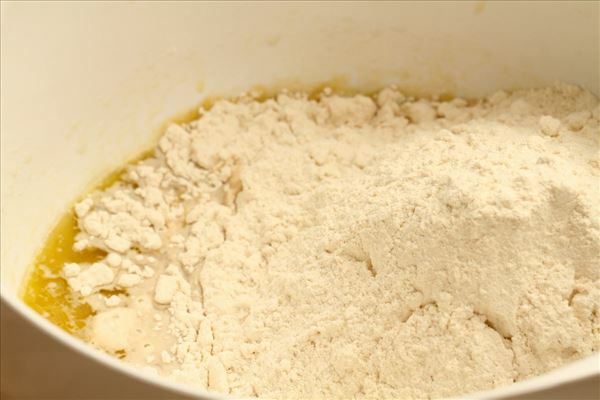 The recipe can be halved, or why not freeze half of the pizza whirls?